(also known as Sam) Asi is a film journalist, TV host and writer. 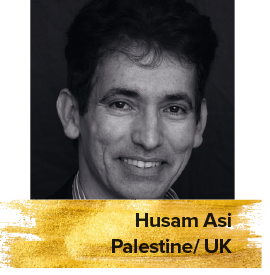 He is the founder and editor of ukscreen.com, a TV host at the BBC World Service, a columnist for China’s online and mobile powerhouse Tencent, and a Hollywood correspondent for the London-based Pan-Arab daily newspaper Al Quds Al Arabi. He is also an accredited member of the Motion Picture Association of America (MPAA) and the Hollywood Foreign Press Association (HFPA), which qualifies him to vote for the Golden Globe awards.